Jeffrey Shapiro - Noble Law Firm P.A. 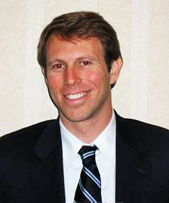 Jeffrey Shapiro practices in the area of criminal, family and media law. Mr. Shapiro is a former Washington, D.C. prosecutor and nationally recognized investigative journalist who has reported on some of the highest profile crime and political stories in America. He has investigated the JonBenet Ramsey murder case, Heavens Gate mass suicide, Columbine shootings, September 11 attacks, disappearance of Chandra Levy, Robert Hanssen spy case, death of John Denver, Kobe Bryant sexual assault case, U.S. Holocaust Memorial Museum shooting and the death of Michael Jackson. He is a published book author who has also written for publications such as the Fox News Forum, Los Angeles Times, Wall Street Journal and Washington Times and has investigated news stories for Gannett News, TIME magazine and CBS News. Mr. Shapiro worked as a prosecutor and trial lawyer for the Office of the Attorney General for the District of Columbia in Washington, D.C. from 2007-2009. Mr. Shapiro was trained by the U.S. Attorney’s Office and prosecuted a number of criminal cases that implicated the First Amendment since his assignment was to handle all cases related to unlawful protestors arrested at the US Supreme Court, US Capitol and the White House. He has prosecuted and convicted as many as 31 co-defendants in one trial as well as an assailant who attacked former US Secretary of State Condoleezza Rice in the US Capitol during a foreign relations hearing. He also advised the Washington, D.C. Metro Police about First Amendment law during an event in which 200 hostile anarchists marched upon Georgetown with plans to commit acts of violence. Mr. Shapiro focuses in handling legal matters in various areas of law that require investigation, complex public relations or crisis management. Kobe Bryant: The Game of His Life. New York, New York: Revolution Publishing. Mr. Shapiro is the author of “Kobe Bryant: The Game of His Life,” the only book ever published on the Bryant criminal case as well as “The Essential Rules for Bar Exam Success,” an academic guide for law students. He has also written political columns for numerous publications throughout the United States including the Baltimore Sun, Denver Post, Fox News Forum, Los Angeles Times, Rocky Mountain News, San Francisco Examiner, Wall Street Journal and Washington Times.